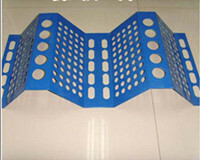 Standard package or up to customer's requirement. 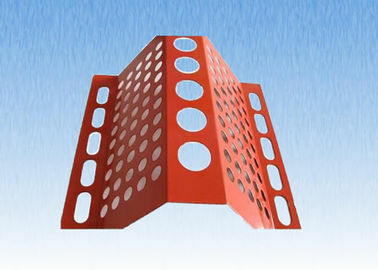 Windbreak panels also called anti-wind boards are made of low carbon steel plate, aluminum-magnesium alloy plate or stainless steel plate. Then these plates are perforated, pressed and coated with electrostatic powder. With sturdy structure, the windbreak wall (made from windbreak panels) weakens the wind force to control dust in coal storage yard, power plants, building materials yard, railway and highway transportation station, construction site, etc. 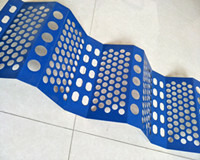 Therefore, the windproof panels wall is environmentally friendly and also can save your materials. 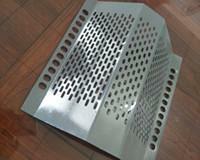 Materials: low carbon steel plate, aluminum-magnesium alloy plate or stainless steel plate. Open area: 40% – 50%. 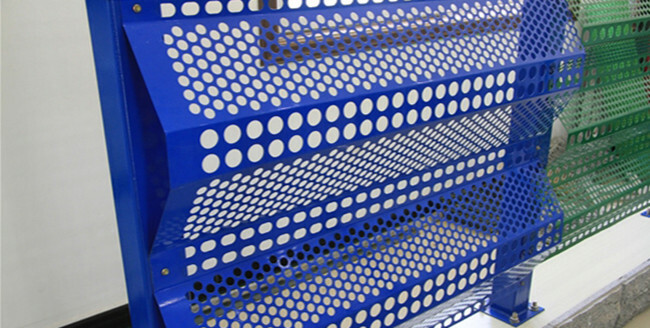 Surface treatment: PVC coating, galvanized, electrostatic powder or anodized, etc. Color: silver, blue, yellow, red, green or according to your wish. Wrapped with plastic cloth and then put into the container. Meadow and tennis court, basketball court, football field, etc.